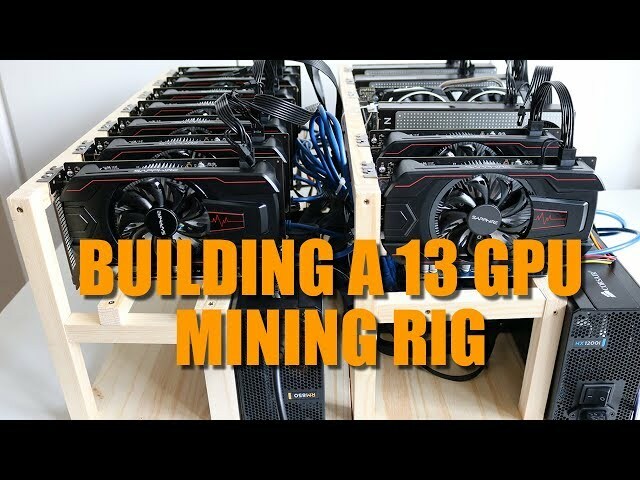 A full and detailed video of my 13 GPU mining rig build. In this video I cover the entire process of building and setting up and mega cryptocoin miner using the Asrock H110 pro btc motherboard as a the base for the build. Adding in an array of of AMD RX series graphics cards and power by two Corsair power supplies. Watch me through this epic build and see the problems I encountered, before finally launching a stable high performance 13 GPU miner.